Rome has a long history behind it. Top Rome attractions comprise classical ruins, age-old places of worship and iconic fountains. Rome is a modern and vibrant city where you will come across wonderful eateries, museums and activities. The city can be overwhelming tothe visitors who may not know where to go first. 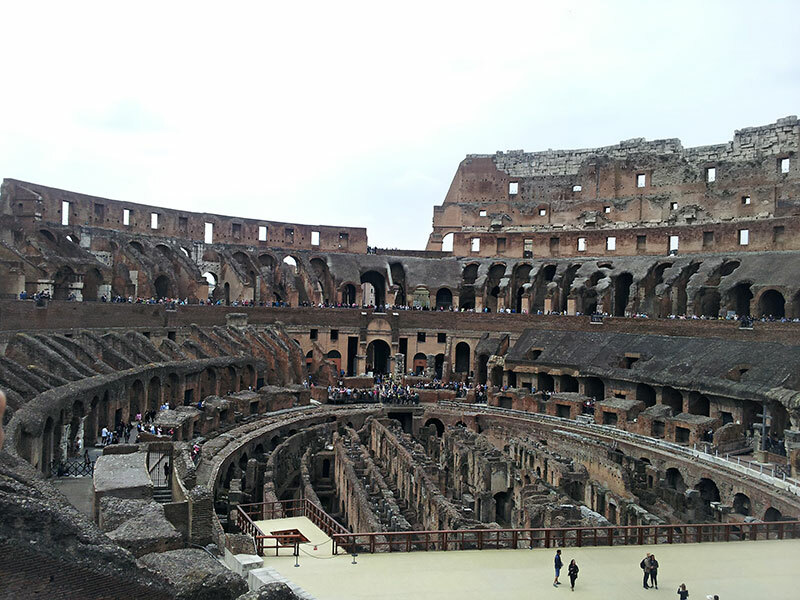 But there are landmarks that are almost obligatory, such as the Colosseum and Vatican Museums. 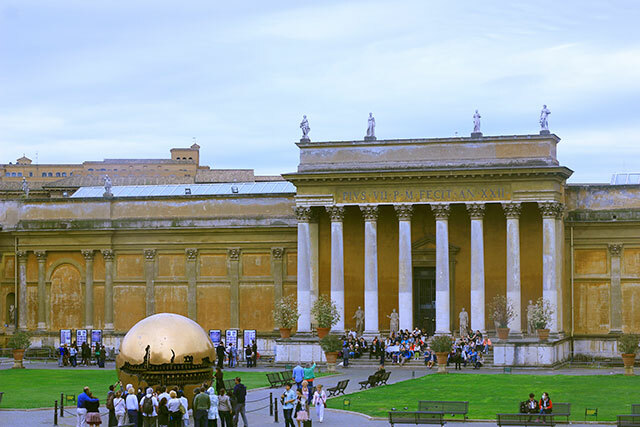 Founded by Pope Julius II in early sixteenth century, Vatican Museums is one of the largest museums in the world. Popes amassed the collection over the centuries. The museums hold 70,000 works of art, out of which 20,000 are on display. Visitors walk through 7 km of halls and corridors. At the end of the route is Sistine Chapel which contains Michelangelo’s famous fresco The Creation of Adam. The most recognisable of Rome’s classical buildings, the Colosseum dates back 2,000 years. The huge amphitheatre could hold 55,000 spectators. They watched gladiators fight wild animals to death. With the fall of the Roman Empire, the Colosseum fell into disrepair. Fires and earthquakes wrecked parts of the structure. Restoration work began in the eighteenth century. 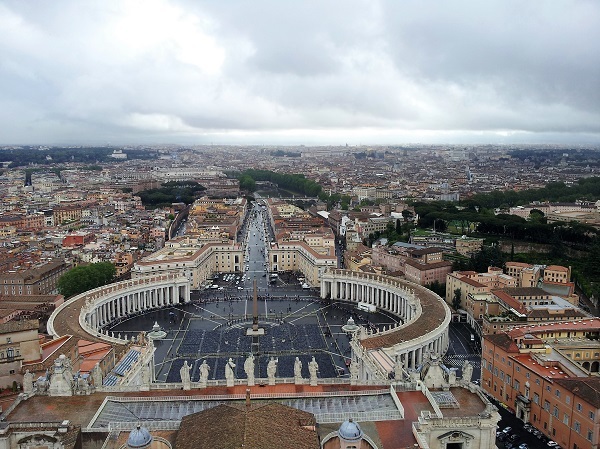 St. Peter’s Basilica is on Vatican Hill, across River Tiber from the centre of Rome. It is the largest church in the world and can hold 65,000 people within its interiors. Many Papal ceremonies take place in St. Peter’s or in St. Peter’s Square. The approach to the basilica is through St. Peter’s Square which is surrounded by massive colonnades. The majestic dome of the church dominates the skyline of Rome. The most famous monument in St. Peter’s Basilica is Pietà, Michelandelo’s celebrated marble sculpture of Jesus and Mary. St. Peter was the chief of Jesus’ twelve apostles. His tomb is within St. Peter’s Basilica. A vast spread of ancient ruins, Roman Forum is a small valley between Palatine and Capitoline hills in Rome. The hub of political and religious activities of the citizens of Rome, it thrived when the Roman Empire was at its peak. After the fall of Roman Empire, the Forum slowly disintegrated. The whole area ended up as a cow pasture. Excavations began in twentieth century. 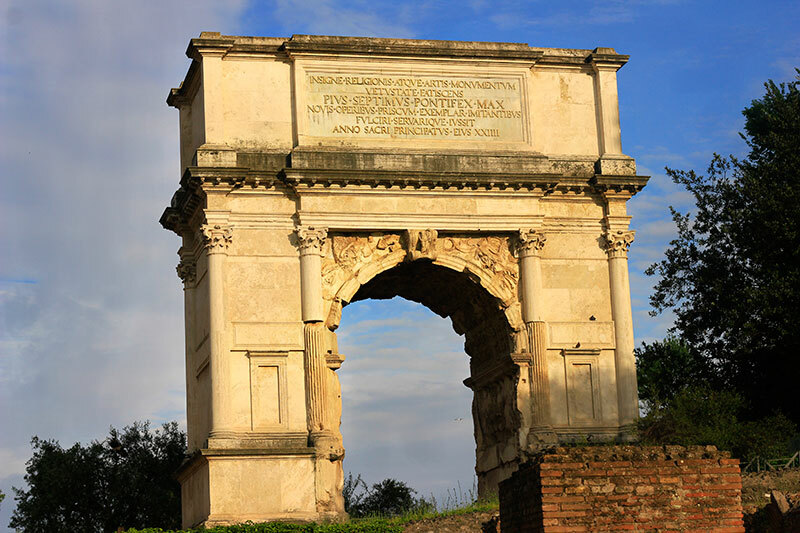 Visitors can catch glimpses of ancient Rome as it was 20 centuries back. 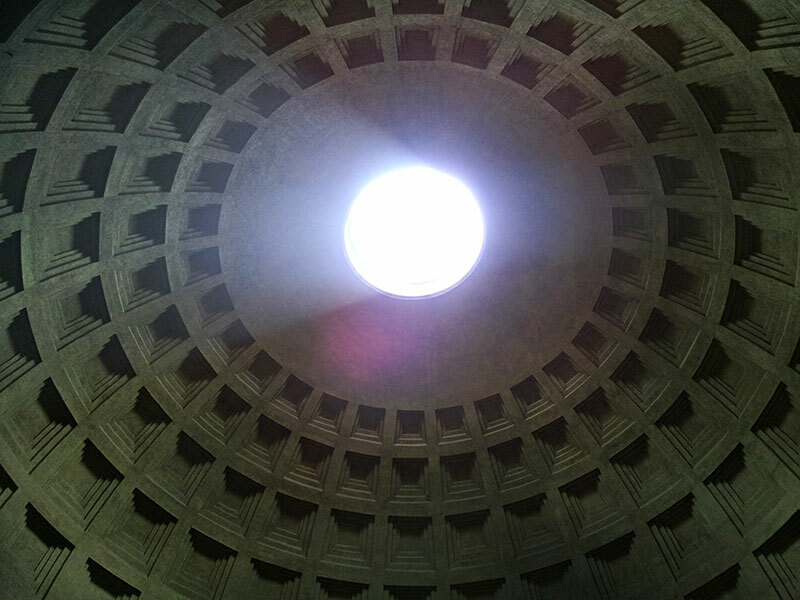 The best-preserved of all Roman monuments, the Pantheon was at first a temple. In 608 AD, it was converted into a church. It has a massive unsupported dome which has a hole at the top. The structure is still intact after many centuries. It is a wonderful specimen of second century Roman architecture. 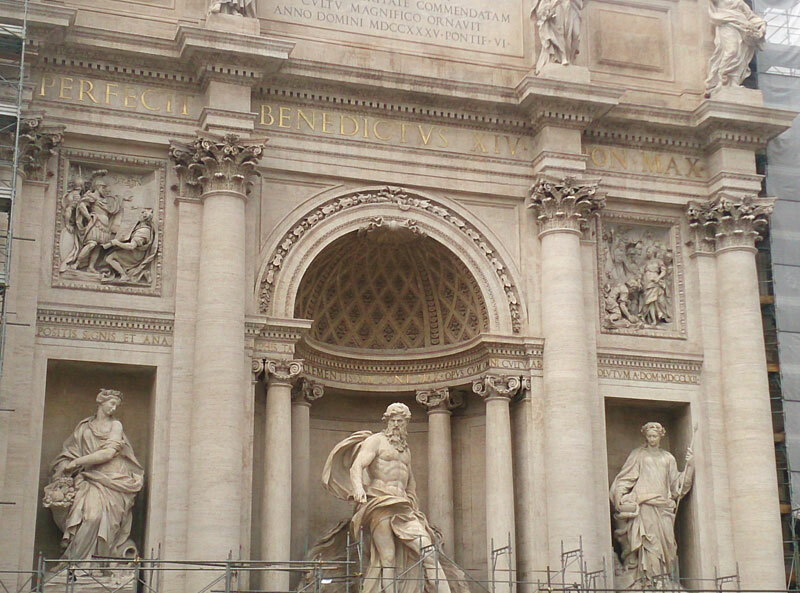 One of the top Rome attractions is Trevi Fountain. One among the most famous fountains in the world, it features the sea God Neptune on a shell-shaped chariot drawn by two horses. Tourists visiting the fountain throw coins over their heads into the fountain. The belief is that a coin thrown into the water ensures a return to Rome. An estimated 3,000 euros are thrown into the fountain each day.